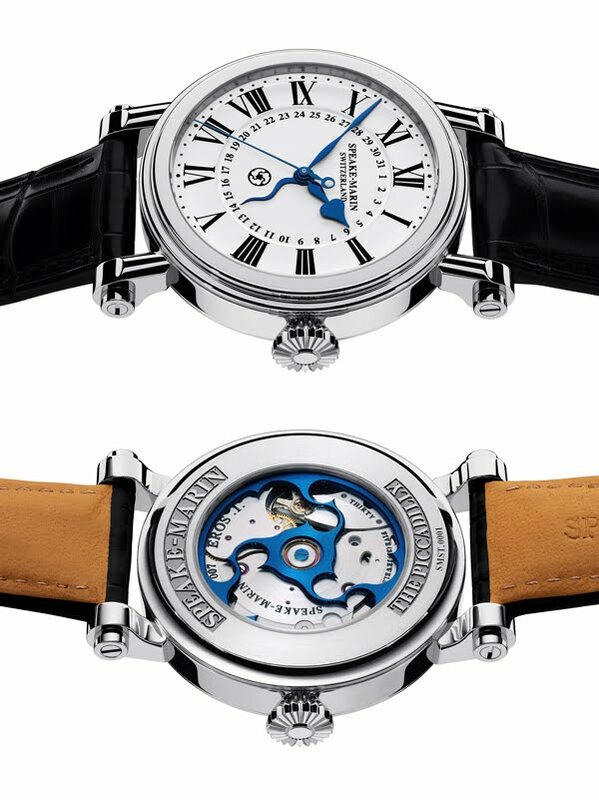 Speake‐Marin unveils the Serpent Calendar featuring curved, blued-steel date hand; multi‐layered, glossy‐finished dial; elegant, slim case; and automatic Eros 1 Calibre with five‐day power reserve. The Serpent Calendar sees Speake-Marin revisit one of their most successful and iconic models, the Serpent, and redesign it from the ground up. While retaining the distinctive identity of the original Serpent, the Serpent Calendar has a completely new movement, a completely new dial, a completely new case and a completely new Serpent hand. The Serpent Calendar indicates central hours, minutes and date by bright blue sculptured Speake-Marin hands. Hands : The blued hands are designed in the same style as Peter Speake-Marin’s ‘Foundation Watch’ and add to the unique aesthetics that make a Speake-Marin timepiece so originally distinctive. The sinuous Serpent date hand revolves in a central subdial set into the main dial and its exaggerated curves ensure that this date hand is never completely covered by either the hour or minute hands. 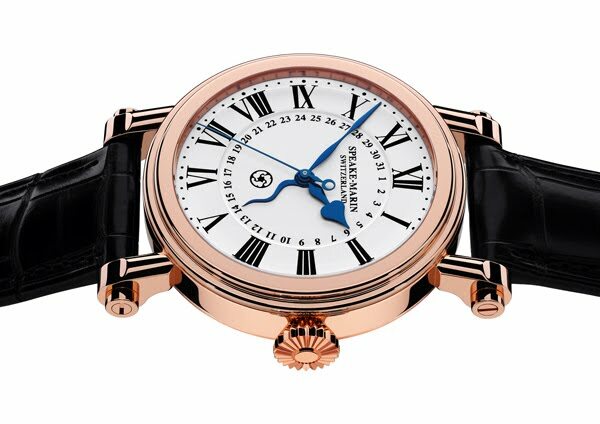 Dial : The elegant white lacquer dial features highly legible Roman numerals. Closer inspection reveals that the sides of the Roman numerals taper inwards towards the centre and follow the line of the hands. This small but significant detail endows the dial with a dynamic, contemporary feel. 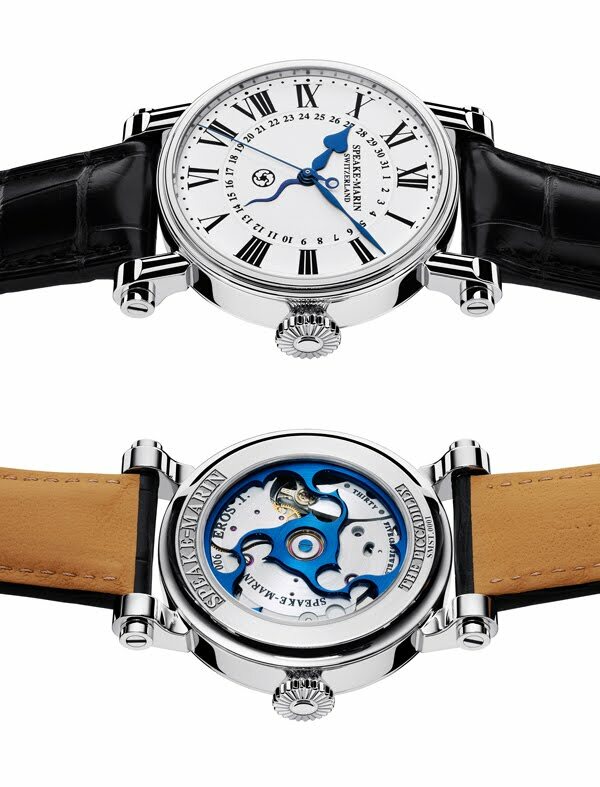 Roman numerals for the time indications and Arabic numerals for the date further differentiate the two dials, while a small topping tool icon below the centre of the dial towards 6 o’clock adds a visual reference to the Speake-Marin collection. Case : While the Serpent Calendar’s three-piece Piccadilly case is at first glance similar to the original Piccadilly case, the inset date dial and new automatic winding movement allow for a much slimmer case of just 12mm. The Serpent Calendar is available with the option of either a casual, stainless steel or a more sophisticated, red gold case. Movement : The new Eros 1 calibre is an automatic winding movement and features a long, five-day power reserve and the signature Speake-Marin ‘mystery’ rotor. The large-diameter, circular-grained movement dominates the view through the display-back and provides a technical backdrop for the beautifully finished rotor. The Serpent Calendar is available with a stainless steel or 18K 5N red gold case in either 38mm or 42mm diameter.